Safety Bureau to Probe Safety of Fracking after Four Workers' Deaths | Kennedy Hodges L.L.P. 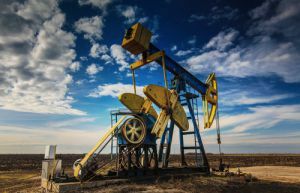 The National Institute for Occupational Safety and Health is investigating the health risks of hydraulic fracturing, or fracking, after at least four deaths have occurred among oilfield workers since 2010 in North Dakota and Montana. According to the Institute, the workers were exposed to high levels of volatile hydrocarbons during the drilling process. Currently, there are record levels of oil and gas production occurring in the U.S., due to fracking. Fracking has also led to worries about tainted water, as well as earthquakes which could occur due to pumping the wastewater underground. Fracking works by injecting chemically treated water and sand into shale rock to free trapped oil and gas. When the fluid returns to the surface as wastewater, it contains dangerous hydrocarbons from the rock formation. This dangerous fluid is stored in tanks or pits on the surface. According to the Institute, hydrocarbons can affect the eyes, lungs, and nervous system, and may lead to an abnormal heartbeat. Many workers are exposed when they measure the fluids in the tanks with gauges. The deaths occurred at wells in North Dakota and Montana. Some of the deaths are still being investigated. The Institute is assessing the risks of exposure to chemicals used in fracking fluids. Fracking can be great for the companies who reap financial benefits, and many fracking workers make great salaries that they couldn't make in other industries. However, there are many dangers as well. If an employee is injured in the fracking industry, he or she has a cause of action against the company, and may be able to recover damages. If you have been injured on the job, call the Houston personal injury attorneys at Kennedy Hodges at 713-489-9493. Our attorneys are eager to help injured workers obtain compensation. Call us to schedule your free consultation.